I especially love that the puppies go into a church on Christmas Eve and think the kneelers are little dog beds. 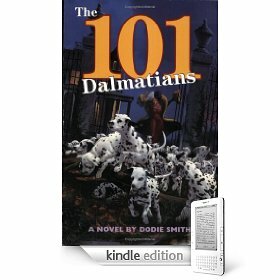 If you love dogs, or missed this one in your childhood, I highly recommend it! My reading in March has been less than in January and February. Lent much? I have three other books begun but not finished, and it's hard to imagine getting through all of them. I have learned that I am really in the mood for fiction and non-fiction will sit untouched while I search for the escape instead. Oh, well. I loved that book. Did you know that it has an odd but entertaining sequel called The Starlight Barking? I’m glad you’ve got your reading mojo back. I’ve only got 7 in so far this year.